Thanks for being here. Thanks for leaving me comments that literally make me laugh out loud, and for sending me kind words when I’m struggling. Thanks for supporting my cheese addiction, and for understanding when all I write is “OMG THIS IS THE BEST” time after time. I’m so glad to have this community to remind me why I keep blogging. Hearing that you finally took the leap and made tomatillo salsa or baked bread for the first time honestly brings me so much joy. I am THRILLED to inspire you to cook something, but also just to connect over whatever brings you here in the first place. Onto the food? Let’s do it. RHUBARB! You guys know I love rhubarb. LOVE. But, I’ve never made something this simple with it! It’s usually muffins and pies and crisps, etc. 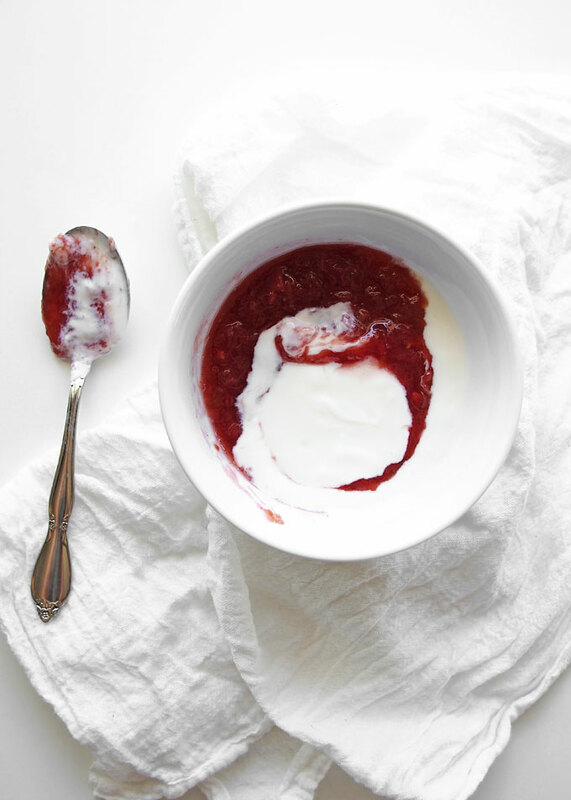 This recipe is so beautifully simple and easy, and leaves you with an easy to way to shovel more rhubarb in your mouth. I’ve been eating this with yogurt for the past week or so. I think it’d also be great on some pound cake, if you’re getting dessert-y! Or just on a spoon. You know. I definitely do that. Use your discretion on the sugar — it’s totally up to you if you want it to be more sweet or more sour. If you’re serving it with dessert, maybe go tangy! 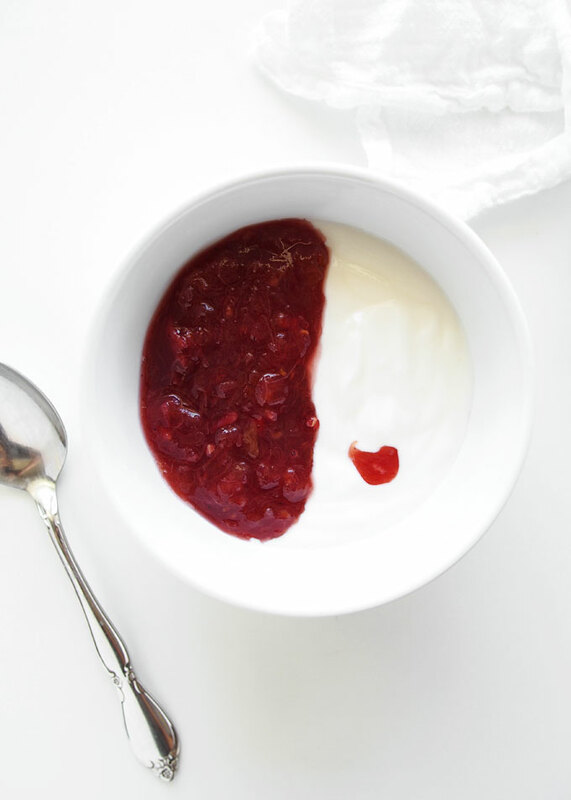 If you’re gonna put it on plain yogurt … maybe go sweet. The recipe is slightly on the less-sweet side. I’d go up to 1 cup of sugar for a sweeter option. 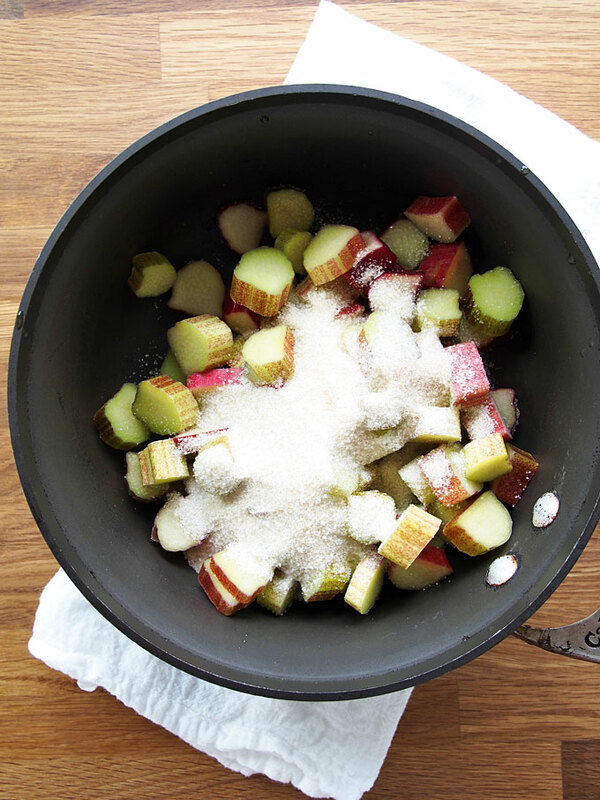 Cook over medium-low heat, stirring, until the rhubarb has completely fallen apart — about 30 minutes. 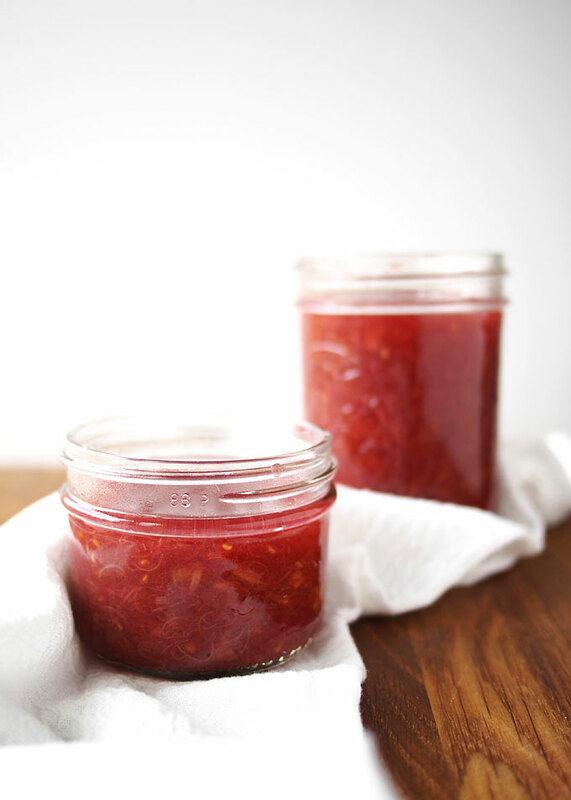 Remove from heat, let cool, and store in an airtight container in the fridge. 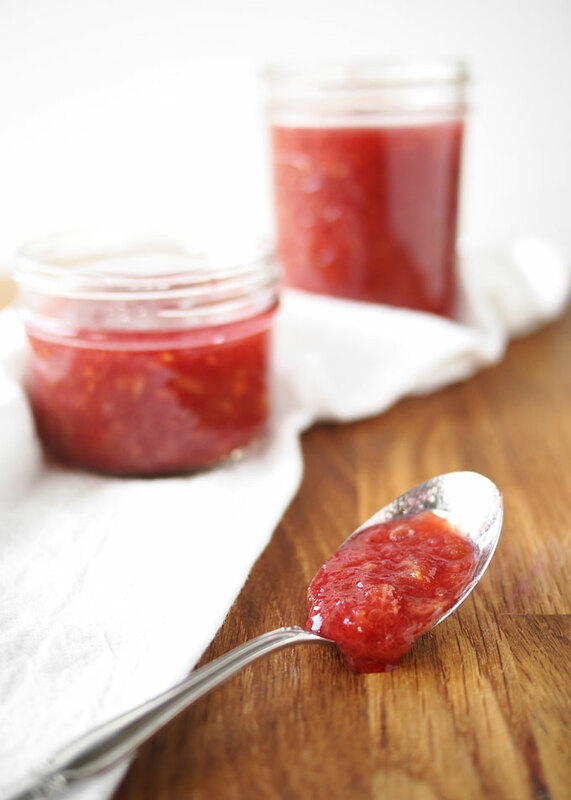 Can the compote be canned(water bath)? I love the taste! Delicious!! Thanks! But — how did you get it to be so RED!?????? ?